"I need an INDIANAPOLIS NEWBORN PHOTOGRAPHER"
Ashlee Lauren is so excited to hear that because newborn photography is her absolute favorite thing in the world! She is a trusted Indianapolis newborn photographer who wants to help you celebrate this incredible moment in your life. Ashlee photographs the newest residents of Indianapolis, Fishers, Carmel, Avon, Greenwood, Plainfield, Zionsville, Noblesville, and surrounding areas. Ashlee has also photographed the cover of a local Indianapolis baby magazine, working with Indy's Child Parenting Magazine. Her newborn studio is located in downtown Indianapolis at 1060 N Capitol Ave, 46204, inside Stutz Business Center. Ashlee's newborn photography will help you remember exactly what it feels like to be a new parent, when you're absolutely smitten with your new baby. Ashlee will skillfully turn your love for your newborn into beautiful photographic art that you can enjoy for generations. Her emphasis on the emotion of the moment translates into natural, cozy family posing. The resulting images are perfect for albums and canvas enlargements. 40 weeks of waiting (and a lifetime of dreaming) later, finally being able to hold your baby in your arms is in indescribable feeling. Ashlee loves to photograph the bond between mothers and their newborns. It's especially powerful & meaningful when a mother has experienced challenges along the journey to motherhood, such as infertility, miscarriage, or premature birth. Photos of moms with their new babies capture the strength of their love, and their bravery along the way. When a father meets his child, he becomes transformed. He eagerly takes on his new role as protector and nurturer. His arms will forever be a safe place for his children, even when they're too big to be cradled in them. Photographing dads as they fall in love with their newborns is simply magical. Ashlee's newborn sessions include a unique segment to capture your baby's one-of-a-kind, organic personality. 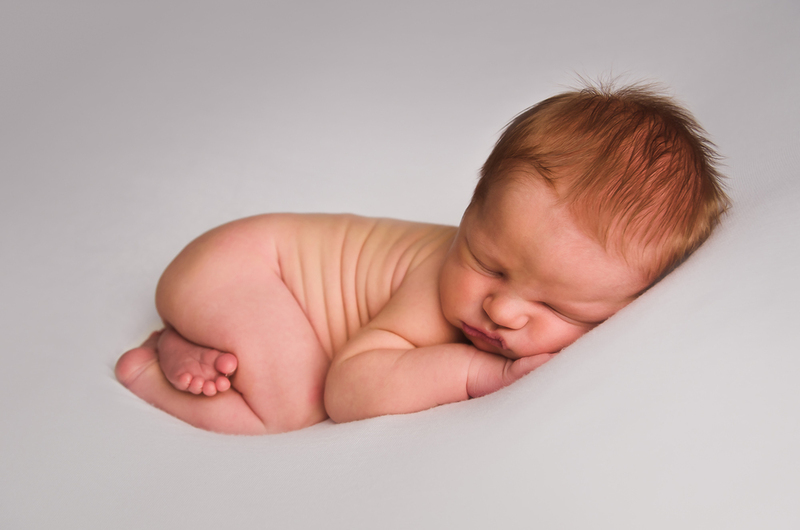 In addition to posed newborn images, she photographs newborns as they stretch, yawn, and move. These photos are taken on a white background with minimal props. The resulting images are parent and grandparent favorites, and show off so much of your newborn's true spirit. A wide range of earthy props and natural textures for both girls and boys are available for use during your newborn session. All you need to bring is the baby (and maybe something to keep dad and the kids entertained *wink*). Ashlee makes most of her props herself, crafting itty bitty flower crowns and knitting dainty bonnets. These one-of-a-kind creations that can't be found anywhere else in the world give you a truly unique newborn session. Ashlee's newborn sessions are baby led, which means if your newborn doesn't like a pose or prop, it's skipped so that baby isn't stressed. Ashlee loves natural organic textures, and frequently uses flowers and greenery during sessions. want to chat with ashlee about newborn photography? Thank you! Ashlee will email you soon! 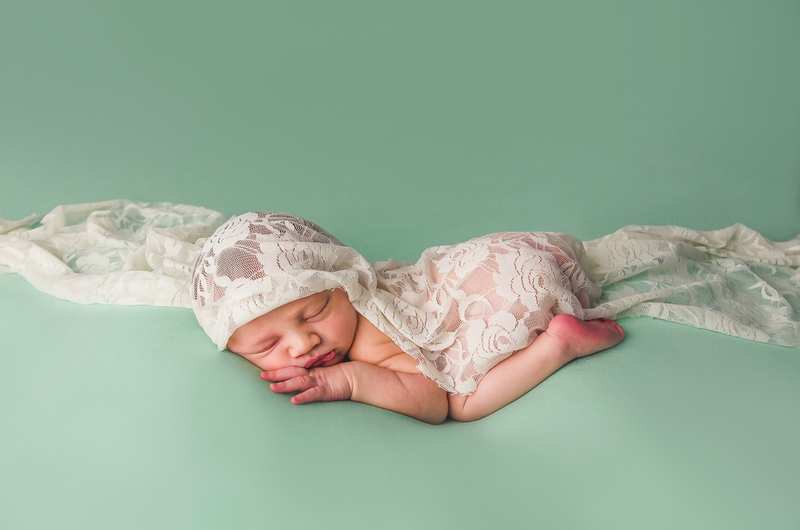 Newborn photography tells the story of your bliss. This once-in-a-lifetime moment, when a new baby is welcomed into your life and heart. Adorable newborn pictures will make this special time even more heart-warming. You'll fall deeper in love with your baby. You'll be able to remember everything about this magical time, every little detail of your sweet newborn. The photographs of your newborn will also be a great way to announce the birth to friends and family. 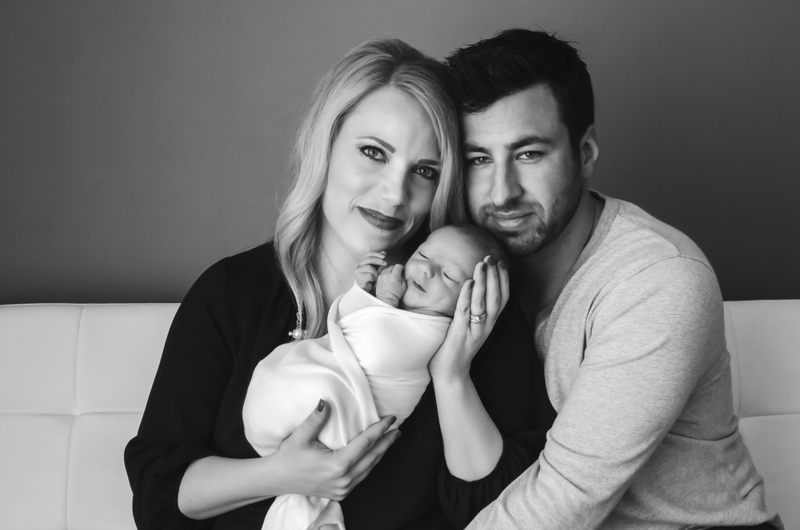 Your newborn session will take place In Ashlee's photography studio which is conveniently located in downtown Indianapolis near the highway 65 exit, along Capitol Ave. Ashlee photographs newborns with a professional DSLR camera. To perfectly light her tiny subjects, she uses an off-camera flash. Her lighting of choice is a strobe with a softbox and scrim. Large gray and white backdrops are available in the studio if you would like family group portraits with your newborn. Before the newborn session, you will receive newborn photography session guide. The guide gives you detailed information about how to prepare baby for photos. For your comfort during your newborn session, seating is available, as well as a refrigerator if you need to store bottles or feeding supplies. A changing table is also provided. 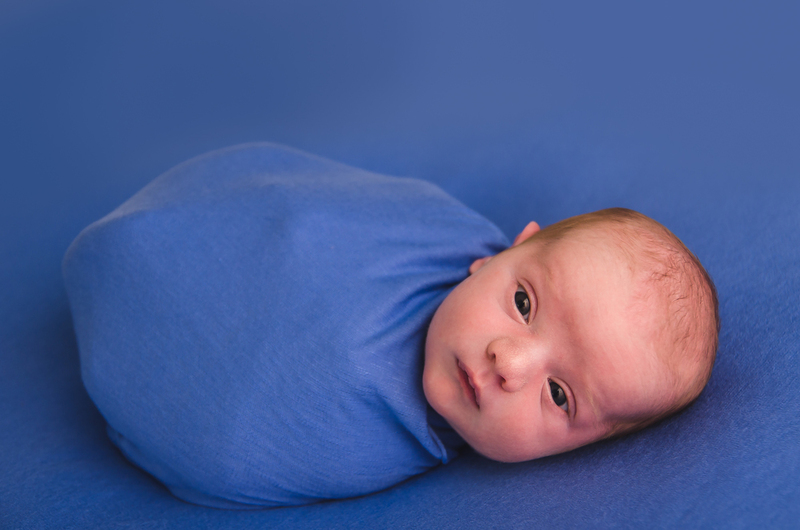 The newborn session will take place when your baby is 8 to 21 days old. 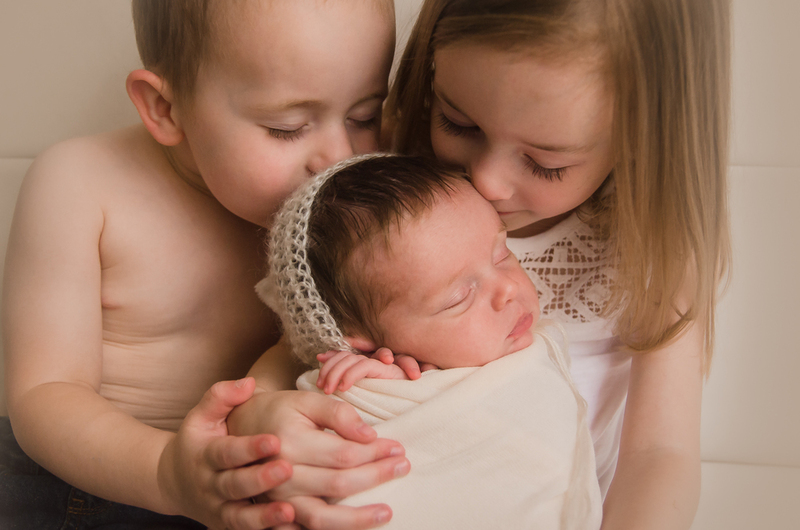 Unlike most newborn photographers, Ashlee is experienced working with older newborns and does not put any age limits on the babies she will take. You are welcome to book a spot for your newborn session while you are still pregnant to ensure best availability. However, if you have not booked a session by the time your baby is born, you can still have pictures taken. Ashlee will schedule newborn sessions for babies up to 8 weeks old. During the session, Ashlee will style your baby with props and accessories. Ashlee loves to work with organic textures. She frequently uses natural floral elements to create beautiful, natural textures. Blankets and wraps are also available in a wide array of colors. Ashlee also provides things like bonnets, tiebacks, headbands, flower crowns, pants, rompers, and onesies for your baby. The session is two and a half hours long. A shorter option is also available. You can choose to only have photos taken of your newborn. Or you can include mom, dad, and siblings. Keeping your newborn safe and cozy is a top priority. Ashlee is trained in newborn posing. She also has many years of experience working with infants outside of newborn photography. She works hard to keep your baby safe, comfortable, warm, and loved. Digital images are included with your newborn session. You will receive an online gallery to download your images. A mix of color and black and white are included. Your images will be fully edited and professionally retouched. You will have permission to make your own prints from the digital images. If you would like to capture memories of your pregnancy, Ashlee provides maternity photography services. You can also keep the fun going after the newborn session! First year plans are available so you can remember all of your baby's milestones -- sitting up by himself, standing by himself, etc. Clients typically book 6 months and 12 months, but some also like to include 3 months and 9 months. First birthday cake smash sessions are also available. I absolutely love everything about newborns! I've been working with infants and children for the past 15+ years. Want to know more about me and see if you think we'd get along? "Meet" me right here: WHO IS ASHLEE? Have a question? There's lots of info below on this page, but feel free to send me a message if you want to say hello and have a little chat. No strings attached -- pinky promise! "I'VE LOOKED AT A LOT OF NEWBORN PHOTOGRAPHERS IN INDIANAPOLIS. WHAT MAKES YOU SPECIAL?" While I love documenting all of the little details of a new baby, as any good newborn photographer does, what I'm really passionate about is the EMOTION of the moment. This is a time you've waited months for. It's filled with a flood of new, amazing things. And it's only new for a second. Before you know it, a couple of weeks go by and suddenly everything is starting to be a little ordinary. My style is to photograph newborns and their families right at the very beginning, when mom and dad are absolutely smitten with their new baby. I want to give you something that will take you back to that moment, when everything was fresh and new. When mom was amazed that a tiny human came from her and the one she loves. When dad's heart is bursting with the knowledge that he can keep his brand new baby safe in his arms. I'm also detail oriented. I love to make sure that the results are what you are looking for and make sure each newborn session is unique to every family. I coordinate colors and textures to perfectly match your nursery decor so the canvases flow seamlessly into the room. I also take colors from the maternity session and incorporate that into the newborn session. If you do a first year plan, I'll bring back the same colors and props across the whole year so everything flows together. I also take into account that this is a special time for families. I work hard to make the session as comfortable and easy for the parents as possible. I have a fridge in my studio for cold drinks and to store extra formula. I've got plenty of comfy places to sit and relax. "Seriously I cannot get over you!!! And you'd think with your beauty and talent you should be stuck up or something. ;) We LOVE LOVE LOVE you!! Moms, please, please, please book a session with Ashlee asap!" -- Shannon s.
"OH MY GOODNESS, THAT SOUNDS ABSOLUTELY PERFECT! WHEN SHOULD I BOOK MY NEWBORN SESSION?" I frequently have moms contact me when they are 3 to 7 months pregnant, so they can schedule get their due date on the calendar early; this also leaves us plenty of time to schedule a maternity session if desired. However feel free to contact me to see what spaces are available even if baby has already arrived. There's no need to panic or feel like you "missed" some sort of "ideal" window. Every stage in the first 3 months of life, and every baby is precious and definitely photographable! All we need to do is make sure we work around baby's "growth spurt" days. ADVANCED BOOKING: Since there's no way to know for sure when the baby will arrive, rather than reserving a date, you reserve guaranteed space in the schedule around the time of your due date. Once the baby is born, you'll let me know she's arrived, and then we'll pick an exact date and time. To really get that sweet, NEW newborn look, plan to bring baby in when she's 7 to 10 days old. HOWEVER, every baby, mom, and family is different, and I can definitely create beautiful pictures for you even up to 6 weeks. All we need to do is "feel out" scheduling to make sure we don't do the session on a "growth spurt" day. There's no need to panic if you feel like you "missed" some sort of "ideal" window. Every moment, and every baby is precious and definitely photographable! EVEN MORE QUESTIONS about Indianapolis newborn photos! "DO YOU PHOTOGRAPH NEWBORNS SAFELY?" Absolutely yes. That little baby is your WHOLE ENTIRE WORLD and so I don't like to fumble around with him/her or leave him/her where falls could happen. I also only use soft, non-glass props, and baby is never put on any hard surfaces without padding. I also firmly believe in a comfortable baby. I HATE newborn pictures that make you say, "that poor baby!" Newborns deserve to be comfortable too! So they are always fully supported in props and on the poser. I love to put them in cuddly blankets and soft furs so they just look cozy as can be! "DO I NEED TO BRING BLANKETS OR ANYTHING?" Nope, I've got everything we could ever need (and then some!) at my studio. My newborn prop stash runneth over. I have bonnets, headbands, and wraps galore -- and in just about every color you can imagine. You don't need to bring anything unless there is something special to personalize your session (clients like to bring things like a quilt grandma made, or something from the nursery). "HOW OLD DOES THE BABY NEED TO BE?" "IS THE SESSION JUST FOR THE BABY?" No, family can be in the session for free if you want parents or siblings to be in the pictures. However, if your family isn't into pictures, it can be just for the baby, just for you and the baby, just for siblings and the baby, etc. Whatever works best for YOU.